I'd recommend them. In fact, I have already recommended them to a friend who has used them and has been very happy. They're very nice and very professional. I generally don't take surveys, but we've had the best luck with The Pool Doctor. I have been pleased with their work. They're knowledgeable, timely, and they provide fair pricing. I like their problem solving abilities. They're good at that. 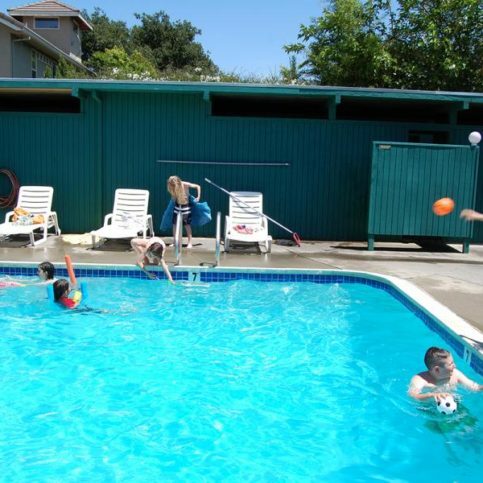 The Pool Doctor has been servicing and repairing Bay Area pools and spas since 1956. The company provides full maintenance and upkeep, including cleaning, consultation and chemical treatment. 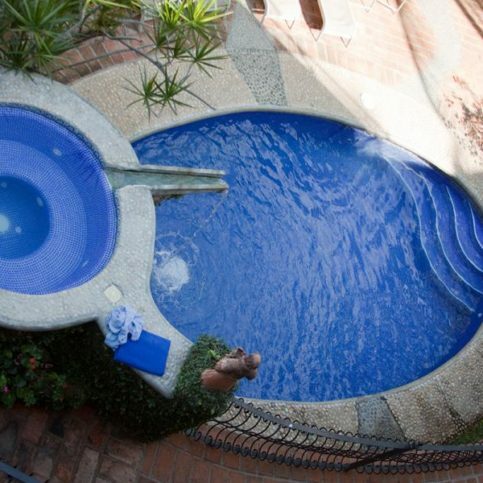 Each pool is visited on a schedule that’s customized to meet the client’s needs. 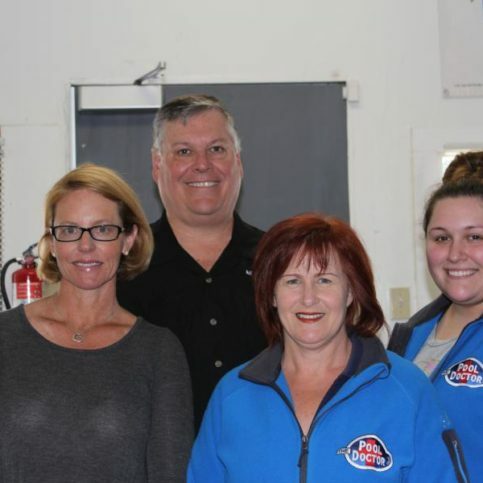 Owners Gary and Kelly Heath are dedicated to keeping The Pool Doctor’s long-standing reputation intact by providing the highest level of customer service and satisfaction in the pool and spa service industry. This commitment to excellence is shared by the company’s staff, which has more than 120 years of combined experience. The Heaths provide continuous training throughout the year on new products and best practices to make sure their staff members and repair technicians continue to be the most knowledgeable in the field. 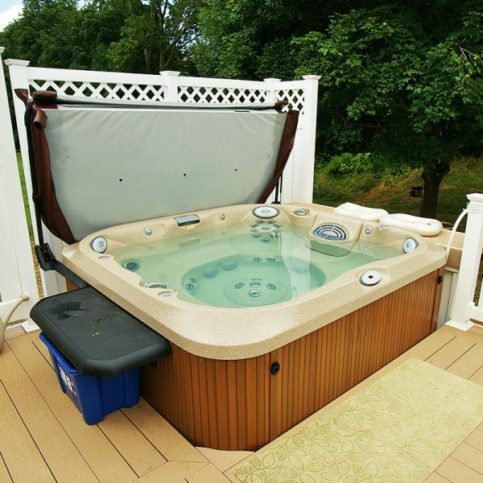 The Pool Doctor also installs energy-efficient pool and spa equipment. Before hiring a pool contractor, it’s a simple thing to check their licensing with the California State Licensing Board–but many homeowners don’t. This can be a problem in a state whose pool and spa industry has no shortage of unlicensed contractors. By law, no unlicensed contractor is allowed to perform work whose value exceeds $500. If you’re a commercial customer, hiring unlicensed contractors could cost you more than just headaches. Safety regulations are constantly tightening, and facilities like public pools or apartment complexes that are found out of compliance could face criminal charges. More important, the consequences for their patrons could be life threatening. A good contractor will also be adept at quickly identifying root problems and fixing them–and them alone. Be leery of companies that always seem as though they’re trying to sell you more of everything. If you need a new seal, they shouldn’t be quoting you a price for a new motor. If you suspect products or services are being forced on you that you don’t really need, hold off on making a decision until you can get a second opinion. Illegitimate operators create huge problems for the industry – and for you. Before hiring a pool contractor, it’s a simple thing to check their licensing with the California State Licensing Board—but many homeowners don’t. This can be a problem in a state whose pool and spa industry has no shortage of unlicensed contractors, according to Sharon Hiebing, owner of The Pool Doctor. By law, no unlicensed contractor is allowed to perform work whose value exceeds $500. “You have these people coming in who aren’t licensed and doing work they shouldn’t be doing. They’re not legally allowed to, and there’s a good chance they haven’t got the skills or experience,” says Hiebing. A good contractor will also be adept at quickly identifying root problems and fixing them—and them alone. Be leery of companies that always seem as though they’re trying to sell you more of everything. If you need a new seal, they shouldn’t be quoting you a price for a new motor. If you suspect products or services are being forced on you that you don’t really need, hold off on making a decision until you can get a second opinion. Q: Should my pool cleaner be licensed? A: Under California law, anyone performing more than $500 worth of work needs to be licensed. Regardless, it’s a very good idea to hire a licensed contractor. You have better assurance of quality work, and better recourse if you don’t get it. Hiring unlicensed contractors also hurts legitimate businesses that play by the rules. 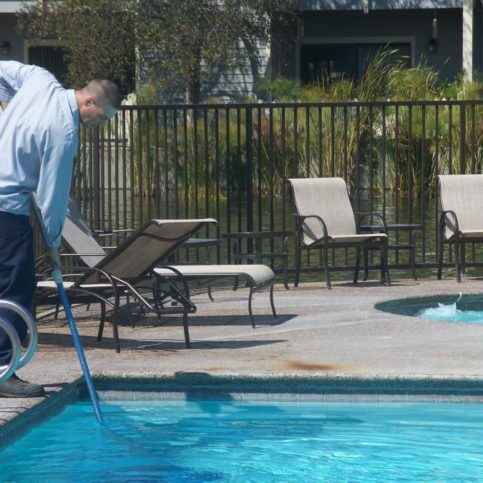 Q: Are some pool cleaners unreliable? A: It is a serious problem in this industry, especially with all the unlicensed operators out there. The Pool Doctor shows up when it promises to and does the job right. Always. Q: Should I worry about the hazards that pool drain covers pose for young children? A: You should be vigilant. Fortunately, a recently passed federal law mandates strict safety requirements for all public pool and spa drain covers available for purchase in the U.S. 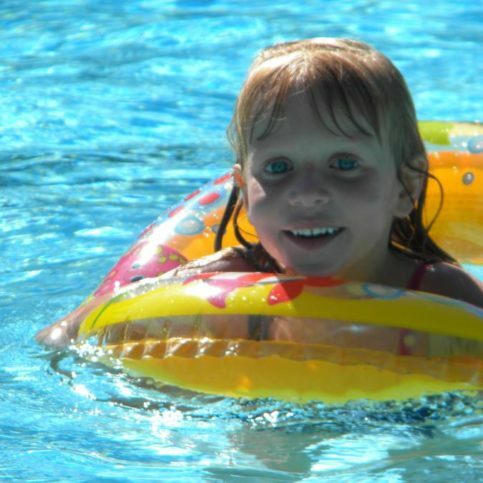 The Pool Doctor strictly complies with the new regulations, but recommends (even though not mandated by law yet) that residential pool and spa owners consider having the changes made as well for the safety of their swimmers. Q: What if my pool or spa already has a cover? A: The Pool Doctor has three people on staff that are certified to evaluate your existing cover and install approved anti-vortex/anti-hair entrapment style covers. 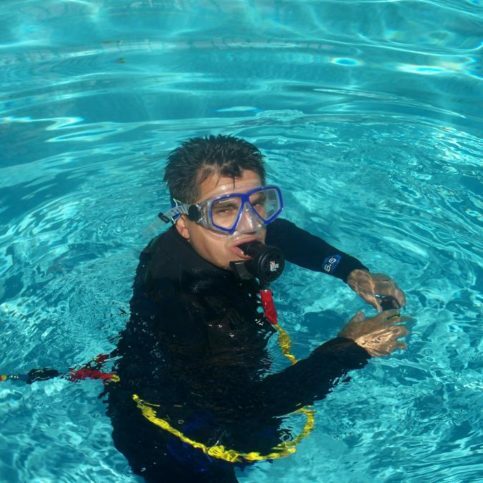 Its team of SSI-certified divers performs underwater repairs. 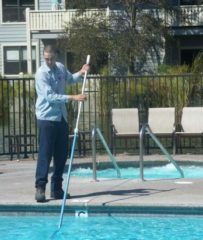 The Pool Doctor’s staff has well over 100 years of combined experience. The company supplies a variety of pool products and accessories. 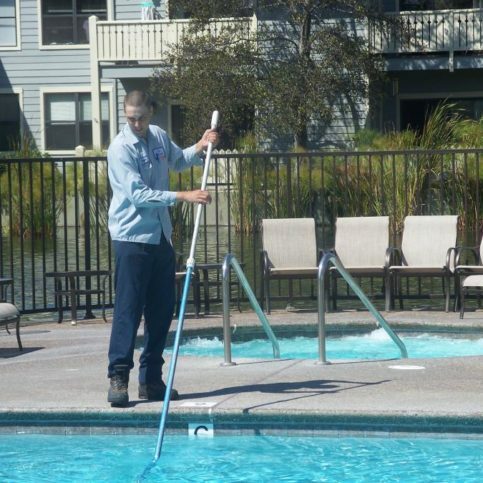 The Pool Doctor offers pool maintenance and repair services. 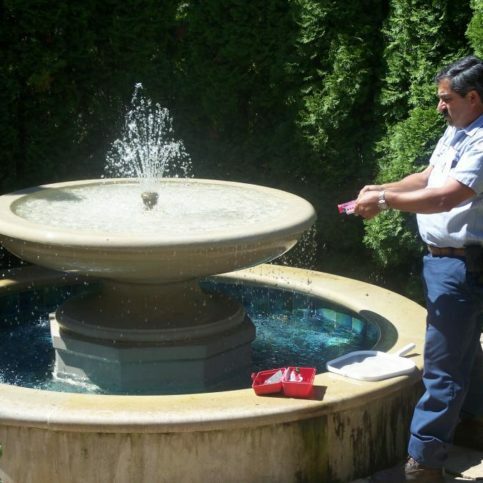 The Pool Doctor has been serving the Bay Area since 1956. Gary Heath is a veteran of the swimming pool and spa industry and owner of The Pool Doctor, a Diamond Certified company. He can be reached at (510) 223-7537 or by email. EL SOBRANTE — Gary Heath was selling construction and mining equipment when the Great Recession hit in the late 2000s. “It was my fourth time going through a major building dip, and I realized I didn’t want to keep working in a sector that was going up or down 80 percent every few years,” he says. Gary decided to step away from the rollercoaster of heavy equipment sales and started searching for a service-oriented company to purchase, which would have a more regular revenue stream. In 2010, he bought The Pool Doctor, which he currently runs with his wife, Kelly. Gary grew up in Pinole and currently lives in Danville with Kelly and their daughter, Ashlan. “After going away to college, I never thought in a million years I’d be living and working back here in the East Bay, but my office is actually only a few miles from my childhood home,” he says. “It’s been like a homecoming. I’ll run into people I grew up with and now they’re our clients.” Outside of work, Gary enjoys spending time with his family, coaching his daughter’s softball team and traveling to his vacation home in the Sierra Nevada foothills. Dedicating so much time to his business and family has had one negative consequence for Gary. “I can never find time to play golf anymore!” he says. “I used to play competitively in high school. Now, I’m lucky if I can play four times a year.” If he could retire tomorrow, Gary says the first thing he would do is book a tee time. A: Sakura Japanese Cuisine in San Ramon. Q: Do you prefer the city or the country? A: Wine. My favorite winery is Merryvale Vineyards in St. Helena. A: When the sun shines, I’m usually not in the office, so on rainy days I finally get to clean my desk and catch up with office work. California doesn’t require a license to maintain or repair pools, despite the depth of knowledge required to safely work on electrical systems that are in such close proximity to water. This lack of regulation is unfortunately not uncommon in the United States. Every year there are reports of individuals who are electrocuted by a pool’s faulty wiring or who suffer carbon monoxide poisoning from the improper ventilation of indoor pools. Don’t risk your family’s safety—choose a licensed pool and spa professional. 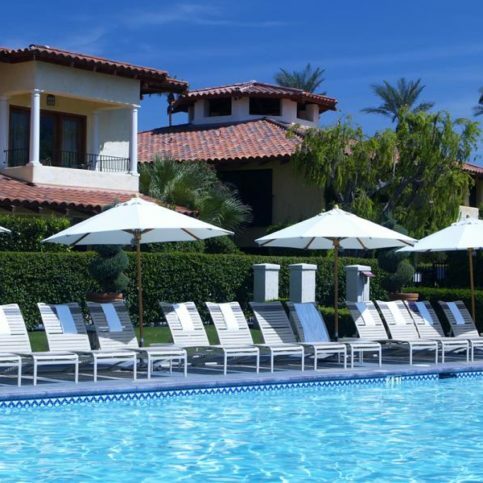 Diamond Certified Expert Contributor, Gary Heath:The one thing I would tell the average consumer is when it comes to electrical, lighting, and heating of a swimming pool, or a spa, you definitely want to hire a licensed pool and spa professional. There are codes specific to the pool and spa industry that need to be followed for your safety. Unfortunately, there’s tragedies in the news every year having to do with heaters that aren’t vented correctly and pool lights that are installed incorrectly and not bonded. And, we don’t ever want to have any tragedy like that associated with ourselves, or our clients, or anyone for that matter. So please remember, hire a licensed pool and spa professional if it has anything to do with your heater, your electrical, or your lighting. The Pool Doctor : Average 9.2 out of 10 based on 446 unique customer surveys of customer satisfaction. They offer good service, and they are responsive to my needs. They have a good service and are responsive to my needs. They are on it. Great service, great response time, and the owner does a great job. I don't have to worry about anything. It just gets done. They always have the information that I need. It's a great company. We have had nothing but good results. We are very satisfied. They have great customer service. If I knew anybody else with a pool, I would recommend them. They're reliable. They're here every Tuesday, and it's the same person every time. The pool looks fabulous, and it's nice that it's maintenance-free for us. They are reliable, dependable, and very easy to work with. They are very thorough, and their service technicians are very good. I deviate towards Diamond Certified Companies, as we are Diamond Certified also. I like that they are family owned and reliable. They're the best. I would use them over anybody else in the Bay Area without hesitation. I like their professionalism, service, and prompt response to my problems.. I just can't say enough good things about them. It's the best. When we have a problem with our pool, we call them, and they come out to fix it right away. Their weekly cleaning service is very, very good. The person who's doing it for us is Sean. He really pays attention to things that are going wrong as well as cleaning. He notices things, which is good. I like their reliability. He really comes out every week. I've used other companies that don't. They seem like they know their stuff. I can call and talk to technicians that work on the pool or actually talk to the owner of the company to ask questions and get answers, so I like that. We like them. They do a good job. We would give them all favorable marks. They were consistent, reliable, and they did a great job. Make sure they do what they're supposed to do. The staff is friendly, easygoing, and flexible. They are accommodating. I would just say, make sure you consult with someone if you are unsure about stuff your putting in your pool, luckily they were able to help even after I put the wrong stuff in the water. They were really helpful and knowledgeable.